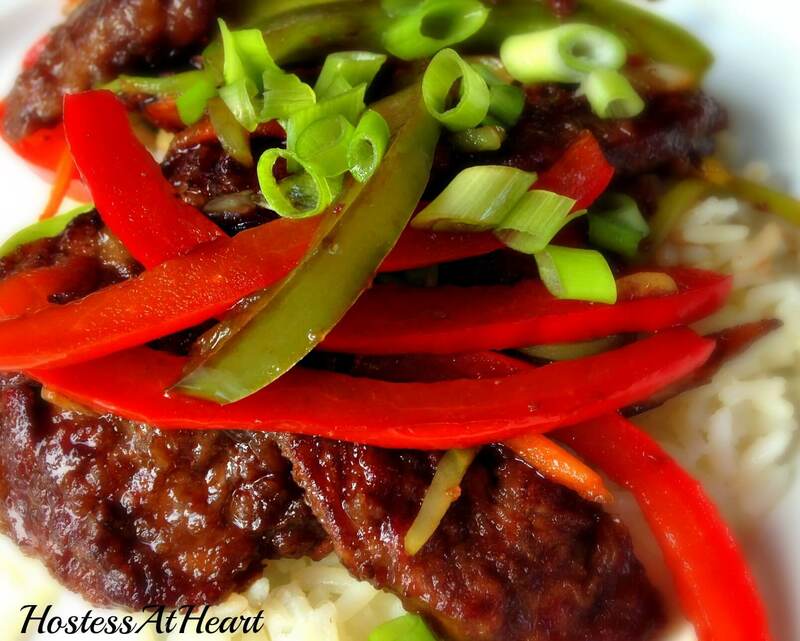 Mongolian Beef Stir fry is so good without one serving of guilt. It’s delicious without all of the sodium or preservatives found in other Asian dishes. The thing about maintaining your weight is to eat food that doesn’t taste like diet food. 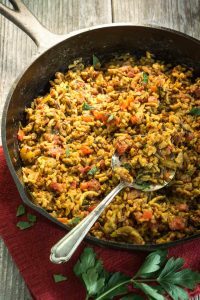 This recipe isn’t diet food, it’s real food, and it is delicious. I often crave Asian dishes, but they can be loaded with sodium among who knows what. 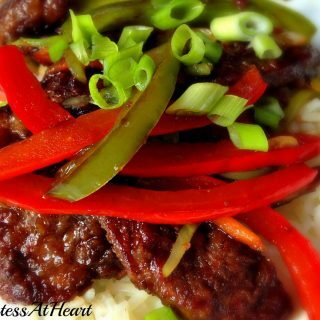 Mongolian Beef Stir fry is so good without one serving of guilt. I used sirloin for the meat in this dish. You could use any protein or leave it out all together. Just bulk up on the veggies. That’s another thing, you can use the veggies you like. I kept the veggies in my dish sliced thinly so that it would cook quickly. It wouldn’t have taken that much time to use heftier veggies such as broccoli or zucchini. I used sirloin steak because it is a lean meat that cooks up tender and is flavorful. A flank steak would have been another good choice. Meat is easier to slice if it is very cold. Place the meat in the freezer for 10 to 15 minutes before slicing it. Add whole grains in to your arsenal for eating healthy. They not only fill you up but are proven to help prevent heart disease. Besides, they are delicious. Rice is an obvious choice, but choose brown or wild. Outside of the box, you could use wheat berries or barley too. Mongolian Beef Stir-fry is so good without one serving of guilt. 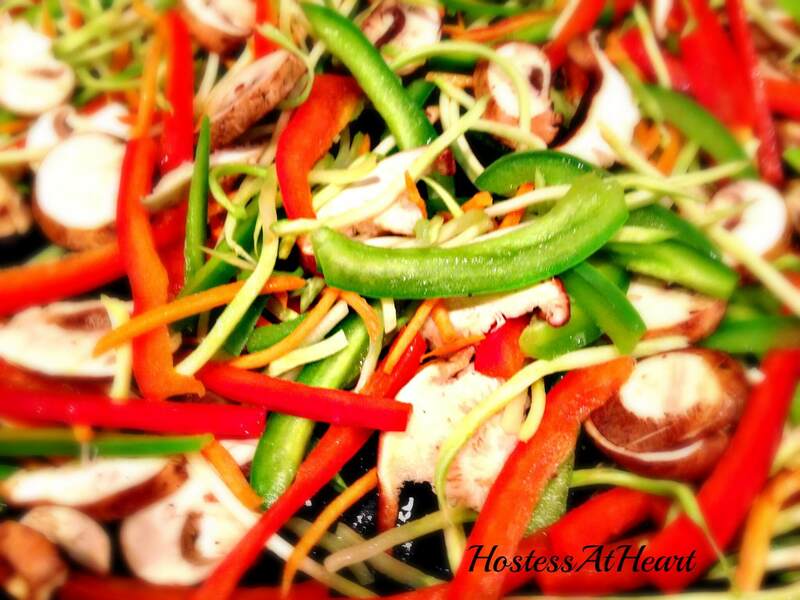 It's delicious without all of the sodium or preservatives found in other Asian dishes. 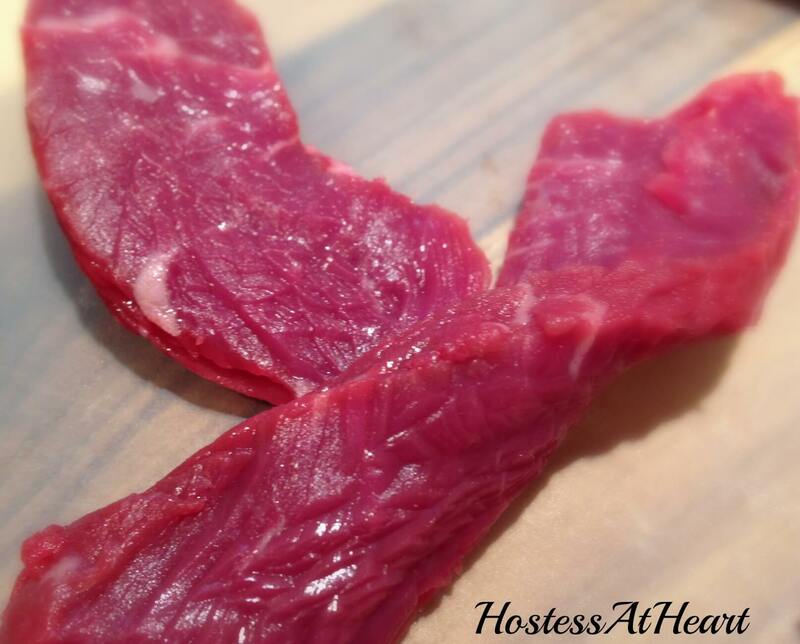 Dry meat with a paper towel and slice into thin strips across the grain. Put the meat in a medium-sized bowl and coat the beef with the cornstarch. Set aside. Start cooking the rice while you prepare the rest of the meal. Heat half of the oil in a large wok or pan at medium-high heat. Add the garlic, ginger, soy sauce, water, brown sugar and pepper flakes. Cook the sauce for about 2 minutes and transfer it to a bowl. Don't worry if the sauce doesn't look thick enough at this point. The corn starch in the beef will thicken it up later. Place the meat in the same pan and cook until browned on both sides. Put the meat back into the bowl. Add the remaining oil to the pan and cook veggies until al-dente. Add meat and sauce back to the vegetables. Cook until sauce is at your desired thickness. Add the green onions at the last minute so the green parts will stay green and the white parts crunchy. Beef is easier to slice thinly if very cold. Place it in the freezer for 10 to 15 minutes before slicing. Do you have any proven practices that help you in the battle of the bulge? I would love to hear from you! 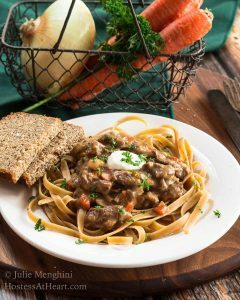 Here are a couple more recipes that are healthy and delicious! Wow! This looks so good! Beautiful job! Thank you for letting me know about the printing problem. I am not sure what is going on but am looking into it. Judi, I have found the error of my ways with the help of WordPress, and my recipes are now printable. Thank you again for bringing this to my attention! It’s sad how many hours of the day I think food. I am already surfing for tonights dinner. Great plan! Food, Wine, Bread and Friends are the perfect dinner.